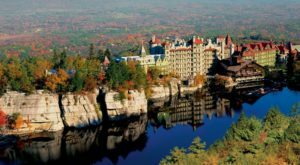 Between regions like the Adirondacks and the Catskills, you can find plenty of adventurous towns in the state of New York. 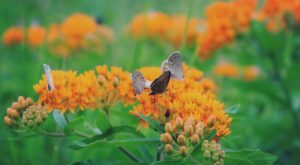 But if you’re in search of a scenic destination that has a little bit of everything available to you, then you’ll need to look no further than this little slice of Herkimer County. 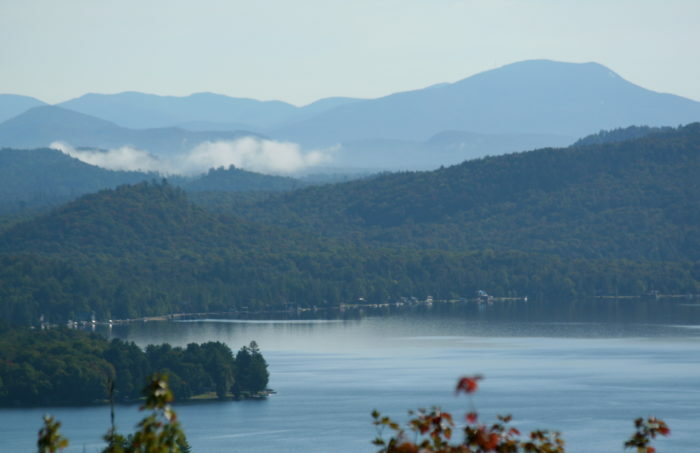 Packed full of adventure, the teensy hamlet of Old Forge can be found right up near our Fulton Chain of Lakes. 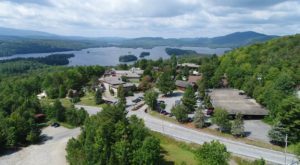 A gorgeous area of the Adirondacks that's absolutely worth exploring, the tiny town of Old Forge will take you away from it all. Home to less than 800 residents, the Adirondack town of Old Forge has a variety of favorite outdoor adventures for everyone to enjoy. 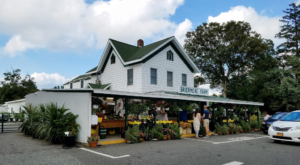 Like so many of the towns you'll find up north, Old Forge offers waterfront views, small-town charm, one-of-a-kind attractions, and peaceful scenery that you'll never want to drive away from. One of the most easily accessible outdoor attractions, you'll spot the Old Forge Covered Bridge right off of Route 28. 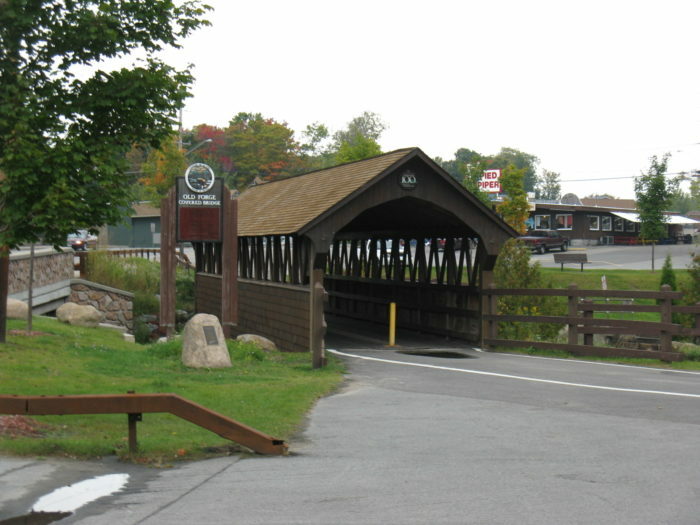 Right in the heart of town, the Old Forge Covered Bridge is located right next to the Visitors Center and town beach. During the summer, you can check out the bridge for yourself and then walk on over the public beach to relax in the sun! The bridge dates back to the 1980s and is a charming little structure to check out. 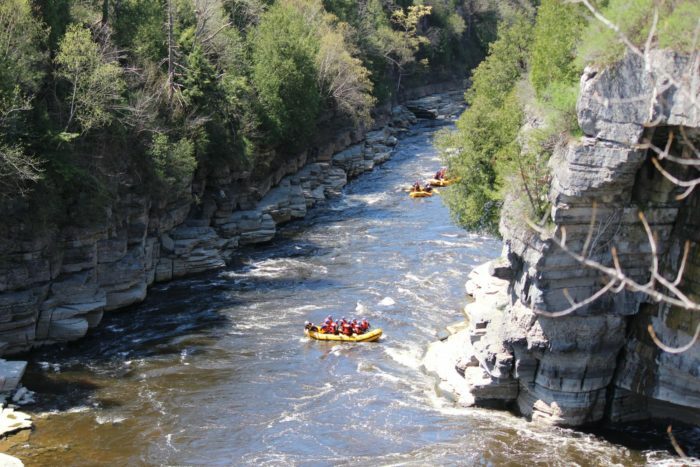 Thrill-seeking adventurers in town will head to Adirondack River Outfitters for an exciting way to get a look at the area. 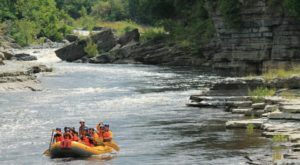 Also waiting for you right off of Route 28, Adirondack River Outfitters is a company that will help lead you to some of the most unforgettable adventures that you'll ever enjoy! 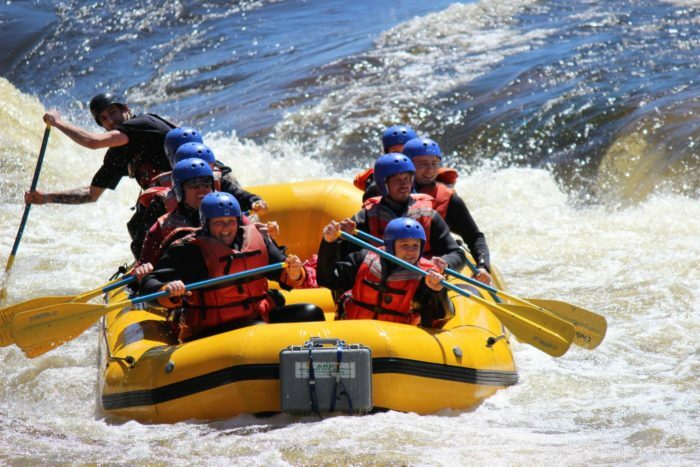 Once warmer weather arrives in Old Forge, the company will begin operating out of the Old Forge Camping Resort to take adventurers out onto the Moose River. 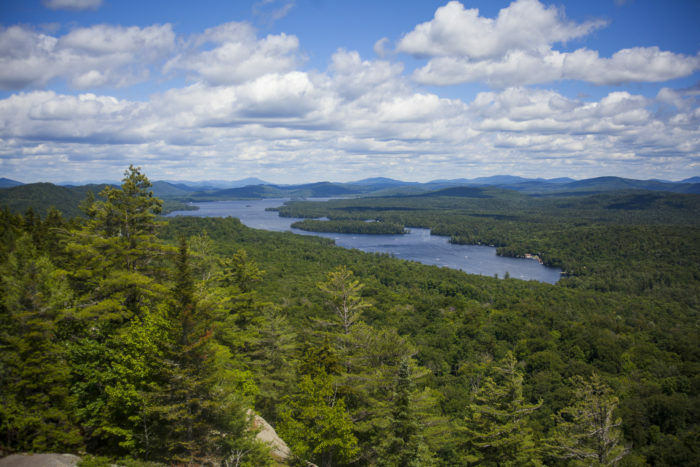 To no surprise, you'll also find breathtaking hiking spots in the area like Bald Mountain. Also known to some as Rondaxe Mountain, the trail along the mountain is less than two-miles long —making it a popular place to go hiking. 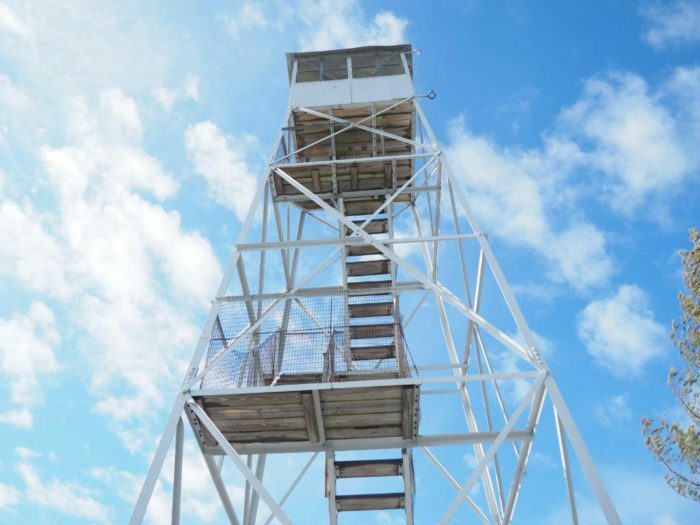 One of the perks of climbing this mountain is the fact that there's a fire tower at the summit, giving you a chance to climb even higher for a more elevated view of our Adirondack Mountains. A family favorite, Old Forge also is where Enchanted Forest Water Safari is hiding away. 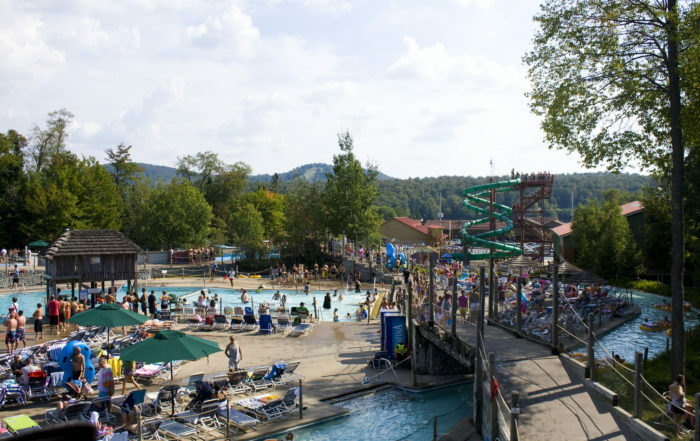 Recognized for being one of the best water parks in America, Enchanted Forest Water Safari is one of the main reasons that you'll find so many people coming to visit Old Forge during the summer. The water park has everything from lazy rivers and amusement rides to water slides and waves pools, making it a fun place for everybody. 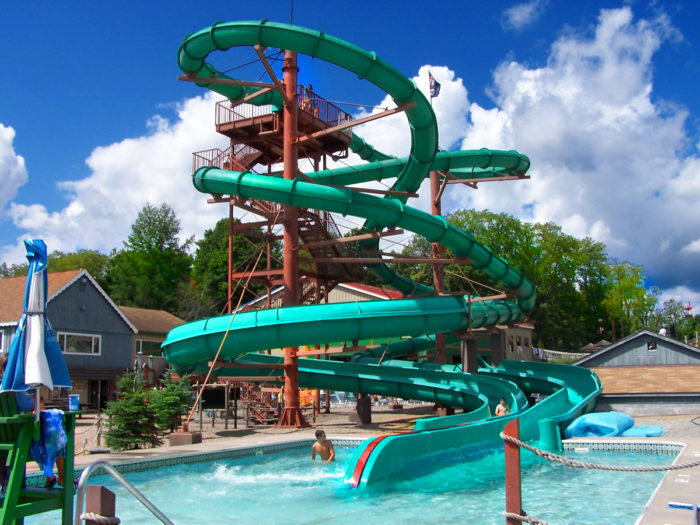 Oh, and did we mention that this also happens to be the largest water park in New York? 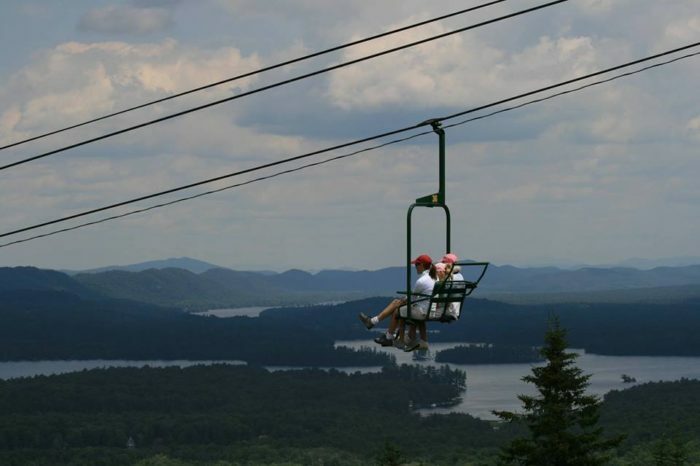 Another family-favorite adventure to enjoy in Old Forge? A trip to Calypso's Cove! 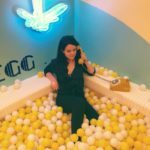 A family fun park right in town, Calypso's Cove is a total blast. 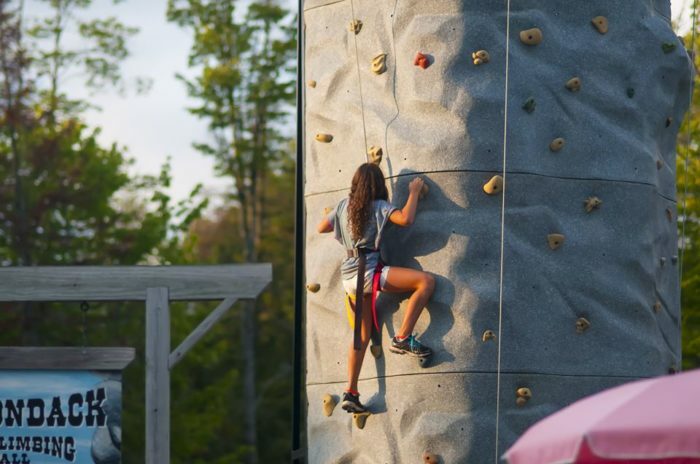 The park has rock climbing, go-karts, bumper boats, mini golf and yes... a zip line! 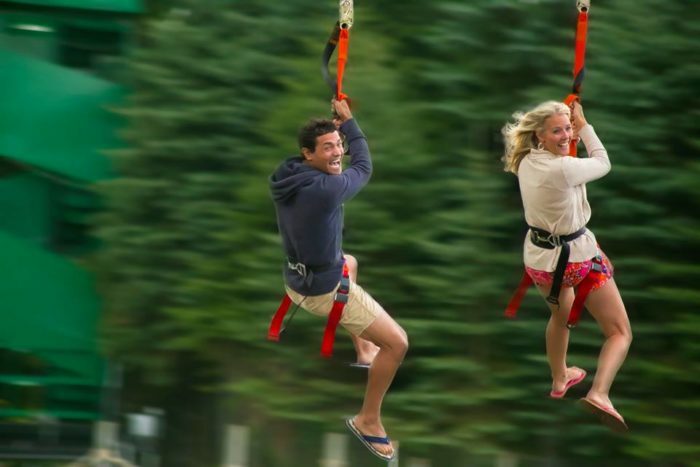 Sending you flying along a 300-foot long zipline, adventurers enjoying this attraction will reach speeds of up to 20 miles per hour. Adventurers who are interested in exploring the area in a more relaxing manner can book a ride for our Old Forge Lake Cruises. 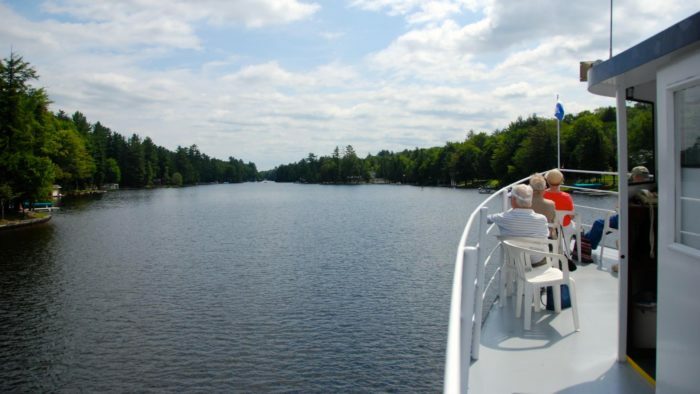 Also right in the heart of town, Old Forge Lake Cruises offer two-hour long boat rides that will have you mesmerized. 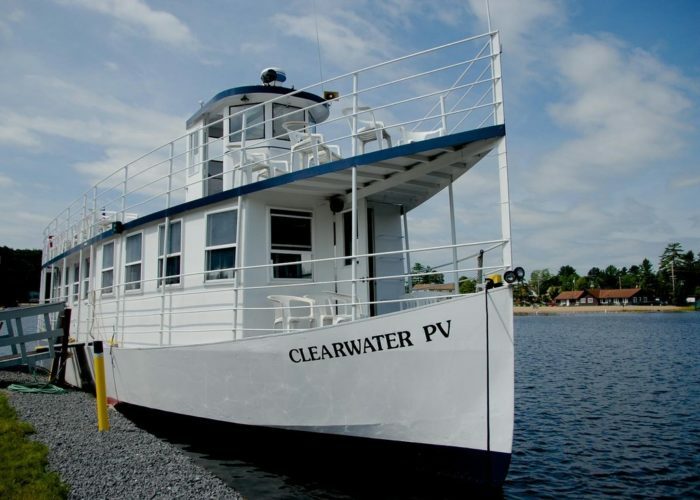 Giving you the chance to board a historic steamboat, these cruises start off on Old Forge Pond and take you up around First Lake. This outdoor attraction is one of the most charming ways you can get out on the water, leaving you surrounded by nothing but the water and our forests and mountains. 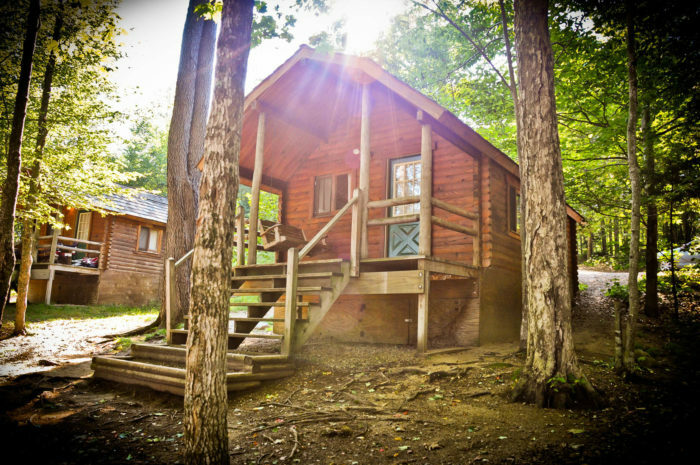 If you plan on being a true adventurer, you won't be staying anywhere other than the Old Forge Camping Resort. 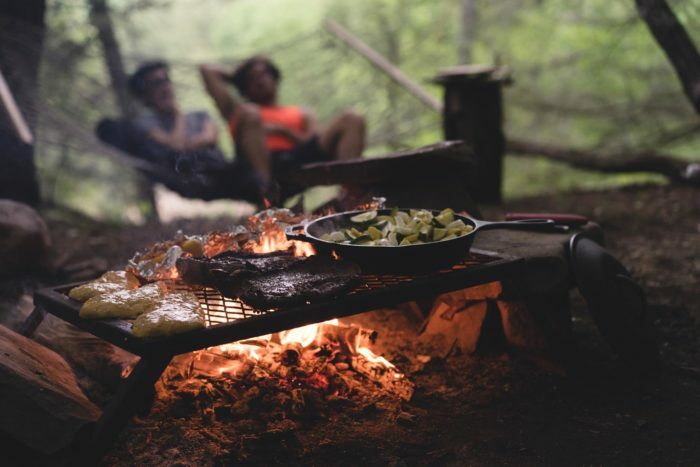 Don't let another year go by without camping up in the Adirondack Mountains! 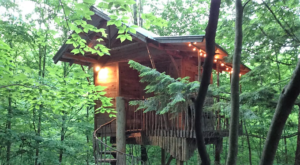 And what better place to spend the night under the stars than the Old Forge Camping Resort? 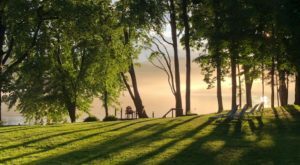 A 130-acre campground that stays open all year long, here you can reserve campsites and well-kept cabins that are lovely to stay in. 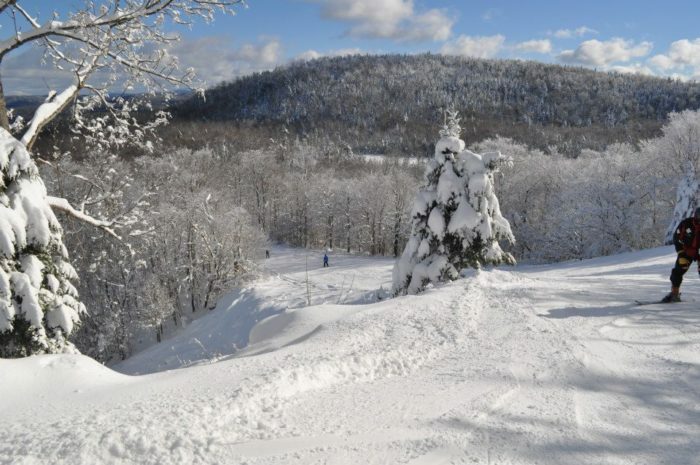 Another wonder that's amazing to take an adventure to, the McCauley Mountain Ski Area will give you views of New York's High Peaks. 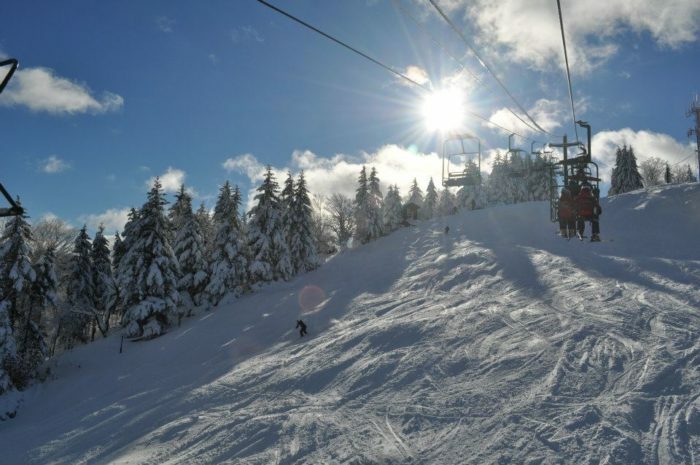 From cross-country ski trails to trails that will have you flying down McCauley Mountain, this ski area is an absolute paradise during the winter. Also open during the summer and fall, has a double chair life and over twenty trails for you to explore. 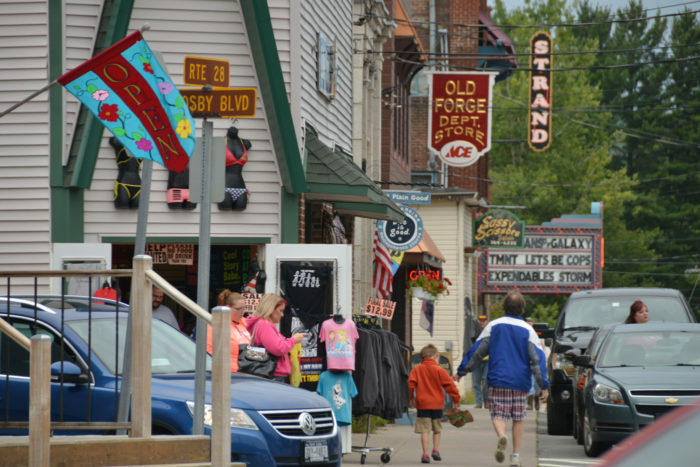 With so much to explore in town, where will be your first stop in Old Forge? To check out the official website for Old Forge, be sure to click here. Tell us what your favorite attraction is in Old Forge! 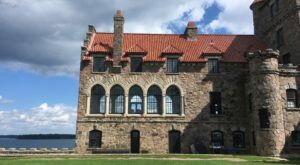 If you can’t make it up north and want to explore more areas in our Downstate region, check out This Town Right Here In New York That Will Bring Out The Adventurer In You!